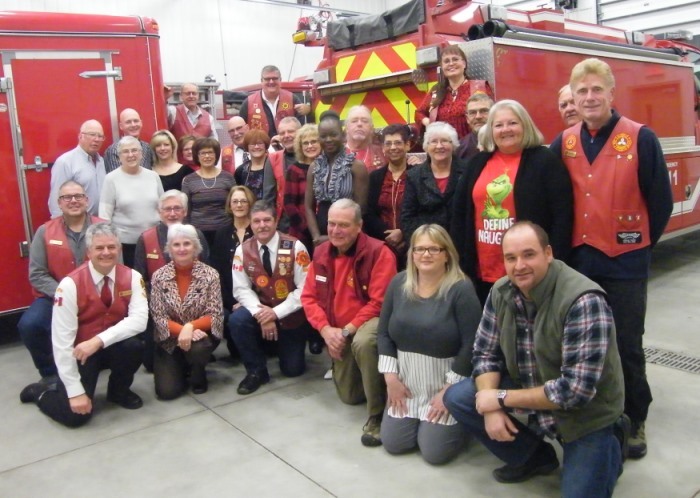 Formed in 1989, Ontario 7 Inc. is a non-profit club, made up of members who are/were in the Fire Service, either full time, volunteer, industrial, military, retired or disabled classification. Our area extends from Brighton (West) to Bancroft (North) to Kingston (East) and to Lake Ontario (South). Ontario 7 runs activities to raise funds for a charity which is chosen at the start of the year. In 1994 Ontario 7 was proud to host the Red Knights International Convention, which was held in Belleville, Ontario. Pure Riding Pleasure/Enjoyment and Safety are key factors to the members of Ontario 7. Ontario 7 Memorial Knights Bikes Good & Welfare Like to Join? The Next Red Knights meeting will be on: Sunday April 28, 2019. The Meeting will start at 10:00AM (1000 hours). The Red Knights Name and Emblem is a registered trademark in both Canada and the United States of America of The Red Knights International Firefighters Motorcycle Club Inc and shall not be used in any shape or form without the expressed written permission of the Executive Board of the Corporation.